That’s what’s happening today. After six years of weekly posts, though thick and thin, good times and bad, a short break is upon me. 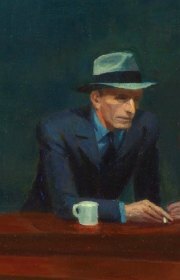 I started writing regularly here back in 2013, for a variety of reasons. The blog, and its years of posts, have helped me achieve some goals – not least focusing on my personal and professional writing. My scribbles here have also helped me process and progress through some significant life events – career changes, emigration, personal loss, mind-opening travel trips and more besides. For the foreseeable future, though, posts will not be weekly, as before. But they will continue – not least because this remains a forum for my personal writing, itself a product of all-important reflection and creation. 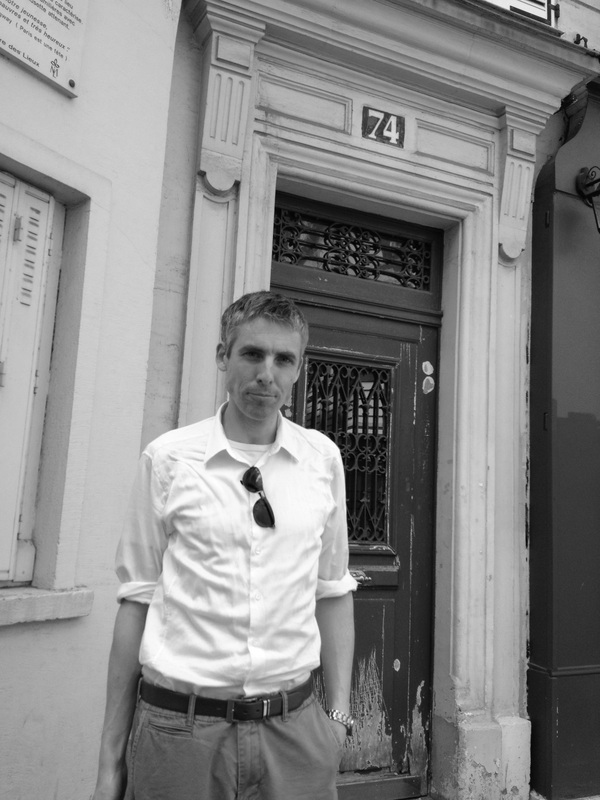 On that note, I’m embarking on this haitus by re-visiting one of the most-read posts: about a 2013 walk across Paris in the footsteps of one of my literary idols. Until the next one then, it’s not “au revoir”, just “à la prochaine”. The two habits of successful content creators are simple ones: write and cut. It’s as easy – and as complicated – as that. Put as much of the good stuff down as you can, and then start paring it back. When you’re finished paring it back, rewrite it. Then repeat the process. When you’re done, proofread it. Then proofread it again. The process may sound mechanical, something which goes against the creative flow, but each revision will improve the work. The ‘rinse, repeat’ strategy came to mind this week as I read Paul Hendrickson’s recent biography of Ernest Hemingway. 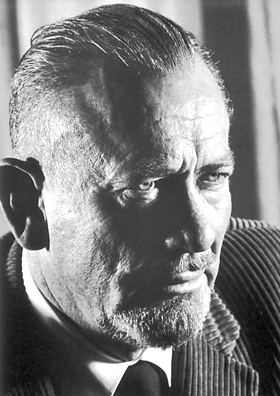 At one point Hendrickson recounts the guidance Hemingway gave to aspirant writer Arnold Samuelson. “Don’t get discouraged because there’s a lot of mechanical work to writing. There is, and you can’t get out of it,” the author told his friend, before issuing his often-cited advice on revision. 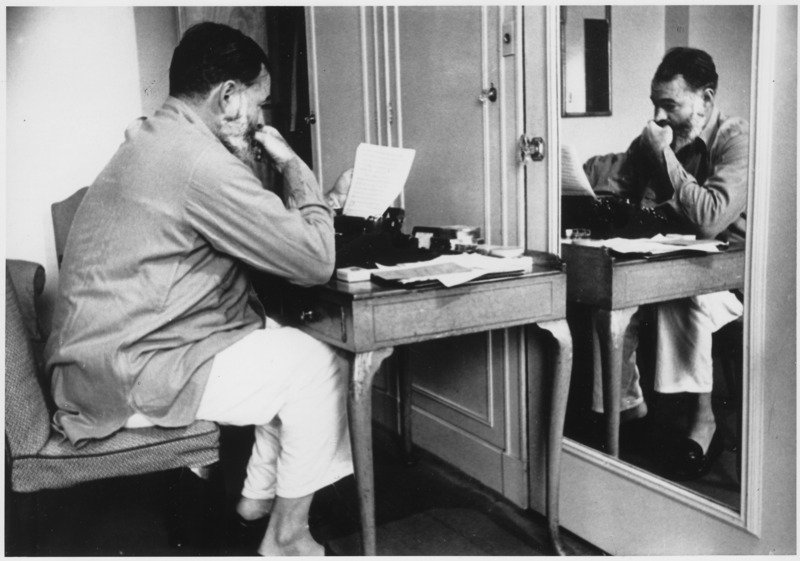 This may explain why Hemingway wrote 47 endings to A Farewell To Arms and revised the entirety of Across The River and Into The Trees 206 times (or so he wrote to a pal). Whether you call it writing or authoring or content creation, and whether you’ve an hour, a day or a week to do it, the secret to the best content is fiendishly simple. Write, cut and repeat. So coffee’s good for you, again. Or between the hours of 9am and 11.30am only, from a custom-made insulated mug, using only beans that have passed through an elephant, while wearing a Clooney-on-The-Riviera face. Maybe. 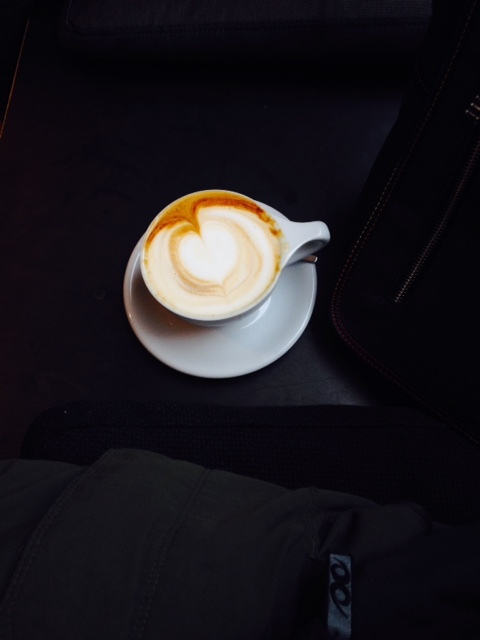 Because it’s another week, another ‘coffee and your health’ report. This time the advice is that five cups a day will, it’s reckoned, free up your clogged arteries. Combine this with daily glass of red wine we’re told is good for us, the steak that we didn’t eat for 30 years but now can, and the eggs that were once going to kill us but now provide excellent daily protein, and we’re on the pig’s back again (as they say) – even pork is good for us, maybe. I’m sceptical. As a journalist barely a week goes my encountering another food advice being debunked or reinforced, or the reinforcement debunked. If I was a cynic I’d suggest all this is geared to keep university science departments and news organisations busy. Instant in the communal kitchen. Of course put-upon doctors regard the whole ‘eat/don’t eat/eat less/eat without butter/eat with your fingers crossed’ advice cycle to be pointless, sensibly arguing that the best policy is moderation. Which is also the dullest possible approach for the sort of person who drinks five cups of coffee at day. Almost as dull as that more extreme concept – abstention. When it comes to coffee I’ve grappled with both, which has led up some blind alleys – usually involving the dubious dark arts of decaffeination. 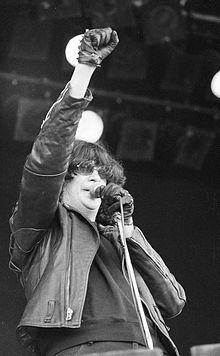 But well into my fourth decade I’ve hit on the cure, and it’s got nothing to do with willpower, or advice from Heart, or my proximity to a decent cappuccino. It’s age. Twenty years ago student me fuelled up on half a dozen cups of treacly Buttery coffee daily. 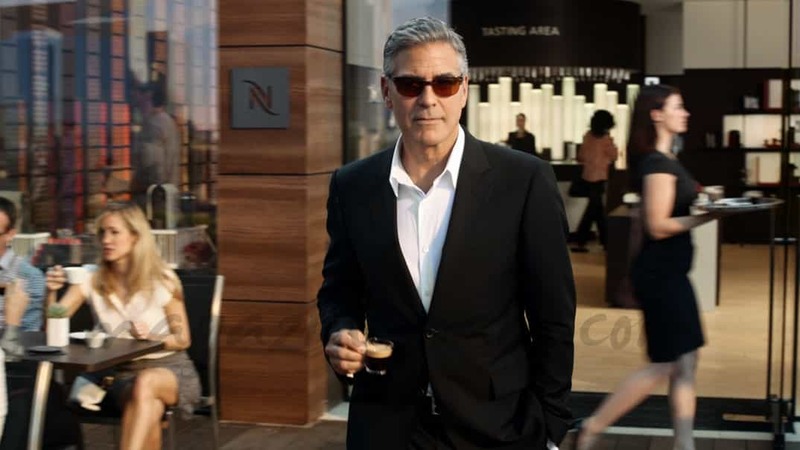 Now I’m on two hits, an espresso before breakfast and a latte at lunchtime. On weekends I may stretch to a cappuccino. That’s all the coffee I need. No more desperate sipping of my ‘fix’ from crumbly polystyrene mugs at service stations, or dipping into gallon jars of freeze-dried, taste-bypassed, caffeine granules in communal kitchens. I got old. I didn’t adopt moderation, it adopted me. I’m liberated, free of the worry, the shakes, the stains, the burned lips and the acid reflux, the queuing and the spilling. But most of all I’m liberated from the next breathless, heart-racing report on how and why coffee is going to kill me. Or not. After a decade’s work Gertrude Stein completed The Making of Americans, comparing the finished novel to Ulysses. It went unpublished, in any form, for 13 years. While working as the head chef at the Grand Hotel in Monte Carlo Georges Auguste Escoffier met Cesar Ritz. 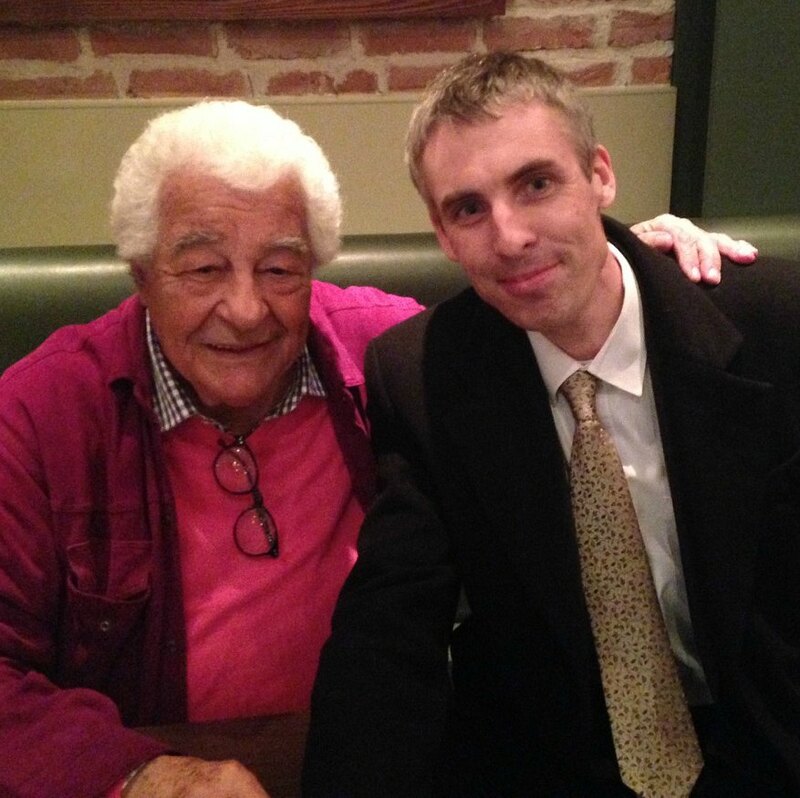 The pair later formed a business partnership which commercialised gastronomy for the ordinary man – and led to the birth of the modern restaurant. 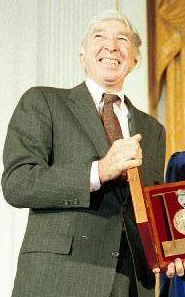 John Updike published his first collection of Henry Bech stories, writing that he modelled the character on Norman Mailer, J.D. Salinger and himself. After spells in Berkeley, Belfast and Wicklow Seamus Heaney moved to Sandymount, Dublin, shortly after the publication of his ‘Troubles collection’, North. He would live there for the rest of his life, but rarely write about the area. Lou Gehrig died of ALS at his home in New York. Two years earlier he had delivered his “The Luckiest Man on the Face of the Earth” address at Yankee Stadium. 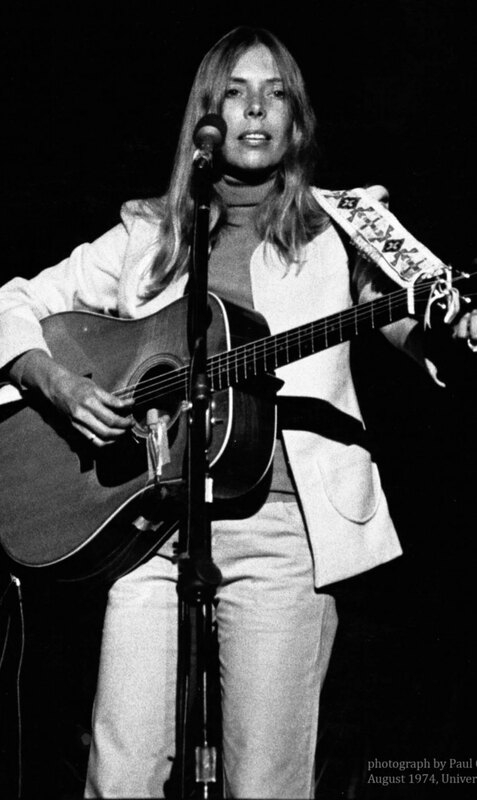 Joni Mitchell released Shadows and Light, a live recording featuring jazz musicians Jaco Pastorius and Pat Metheny. It was her final album on the Asylum label, run by her Free Man in Paris. Ten years after quitting his job as a crime reporter David Simon published The Corner, later praised as an “unblinking and agonizingly intimate” account of the urban drug trade on a single street corner in Baltimore. Isambard Kingdom Brunel, having narrowly avoided death during the construction of the Thames Tunnel, almost choked when he inhaled a coin while performing a trick for his children. The disc was finally jerked free weeks later. John Coltrane formed his classic quartet, with McCoy Tyner, Jimmy Garrison and Elvin Jones. After two years the group produce one of the most famous recordings in jazz, A Love Supreme. 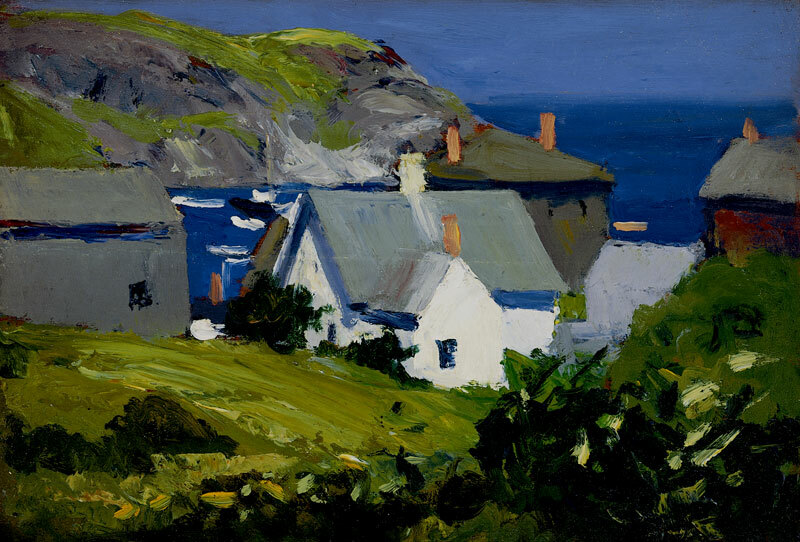 Despite years of frustration at a lack of commercial or public interest in his work Edward Hopper continued to paint, working on seascapes during time spent on an island off the coast of Maine. Some time on November 1 a 29-year-old woman in Oregon will take medication to end her life. Brittany Maynard’s decision went global over the past couple of weeks. She has an untreatable brain tumour and faces a certain and debilitating death. Faced with this Maynard decided that “death with dignity was the best option”. She intends to end her life, with legal medical assistance, later this month, shortly after her husband’s birthday. Now an advocate for America’s leading end-of-life choice organisation the coverage of Maynard’s story has, understandably, precipitated a debate on assisted dying/suicide (take your pick), medical ethics, and the existence and role of a God. At times the commentary, again understandably, has overshadowed the tragedy of Maynard’s diagnosis, the fact of a life unlived, plans unfulfilled, the cruel cost of mortality. Reading her story I tried to focus on that, rather than the mechanics of her death. 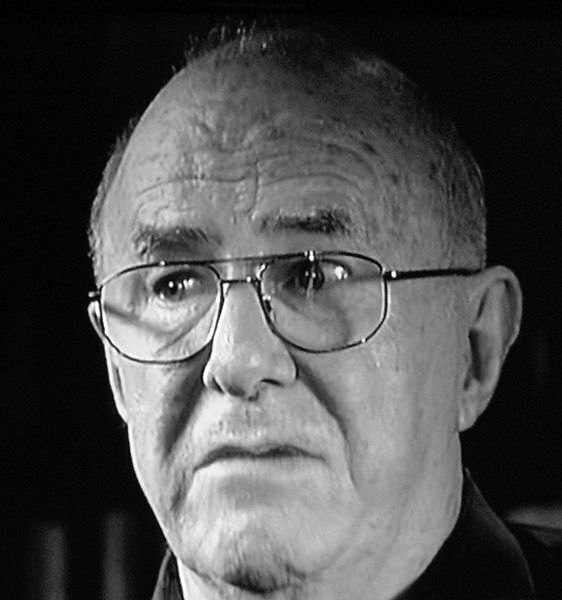 Two days after I first encountered Brittany Maynard’s case I was sitting in work when, on a radio in the background, I heard the familiar, now fainter, voice of the writer and critic Clive James. James has, like Maynard, an aggressive cancer which he acknowledges will soon claim his life. Interviewed two days after his 75th birthday he spoke of his surprise at still being around. “I do have a brand of leukaemia that will come back and get me, but nobody knows when,” he stated. While Maynard has faced her illness by becoming a public activist James, a long-time public figure in Britain, has turned inwards, writing poems that address his mortality and assess his life. “I had a new subject, death itself…It’s all very interesting. It’s adventure. 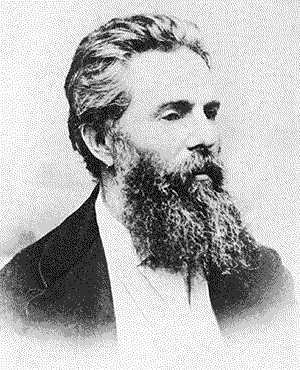 And writers are usually a bit short of adventure,” he explained. Maynard will die with the help of medication, James will not. When I foresee their passing it’s not the pain or distress, the ethics or the tablets, that come to mind. Instead it’s the last stanza of one of James’ final poems, Japanese Maple, in which he foresees his death, lying in his room and looking upon his garden, his “slow fading out” complete. So brightly at the last, and then was gone. 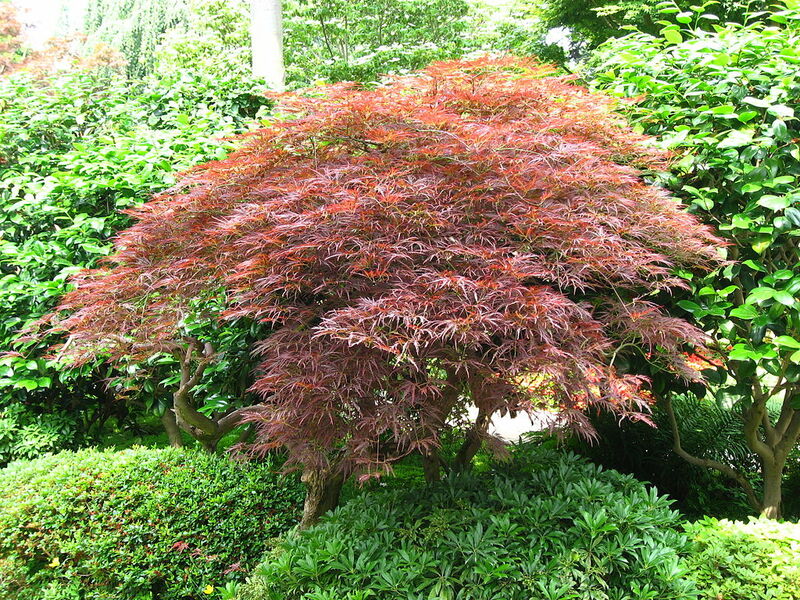 Japanese maple, Musée Albert-Kahn, Paris. 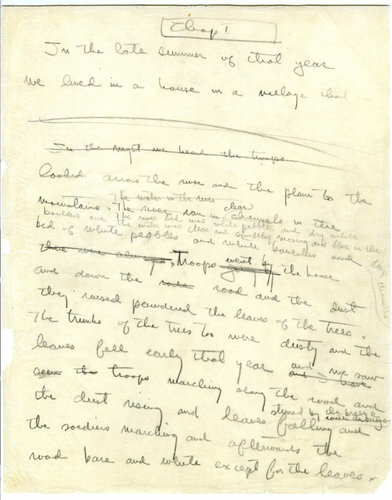 Hemingway’s first-page draft for A Farewell to Arms. 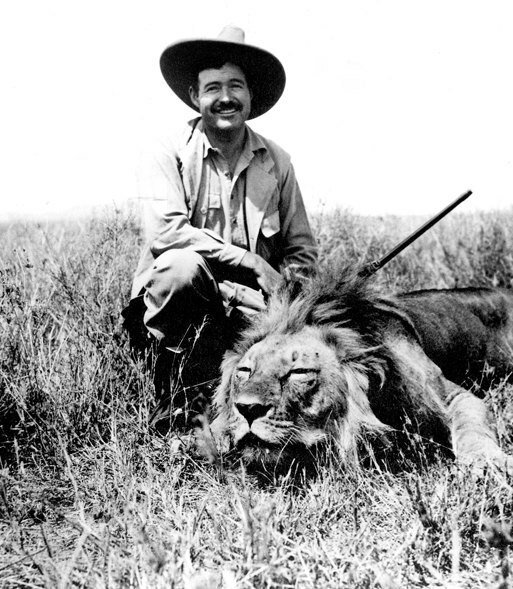 Ernest Hemingway’s war novel A Farewell To Arms could have ended any one of 39 ways. We know this because Hemingway told us so but also because, two years ago, an edition of the book was published containing each of those endings, and a further eight more to boot. Some are more optimistic than the final, fatal closing paragraphs, some are minor variations, some entirely different to what was published. But, as far as the writer was concerned, it took 39 attempts to nail it, “39 times before I was satisfied”. A 2012 news story on the new edition of the novel was shared with me this week by M, a fellow soldier in the journalistic trenches. It sparked my interest. My daily workload involves revision, three or four times for every article edited, reading closely for facts and legal. This blog likewise. But I doubt I’ve subjected any piece of writing to more than a dozen revisions, let alone three dozen, before filing it away. Hemingway’s dogged rewriting of his novel’s closing paragraphs put me in mind of Malcolm Gladwell’s observation on the success of The Beatles. 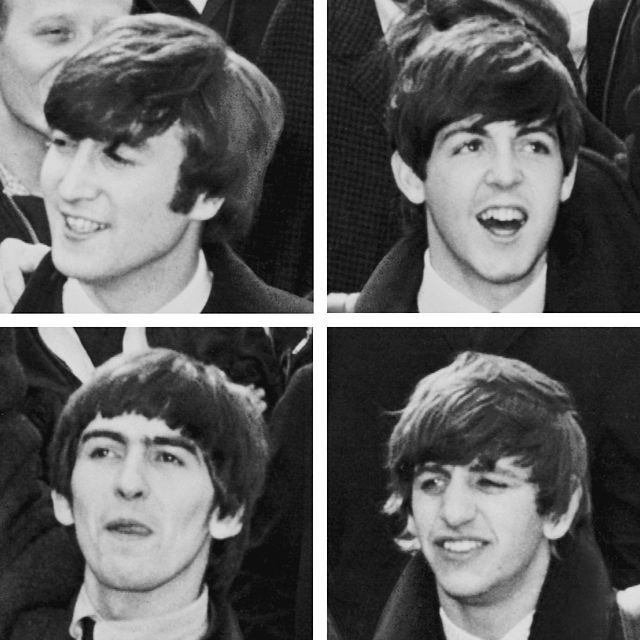 He estimated that the group performed 1,200 live shows in the four years before they broke through to stardom, in 1964. Reading Hemingway, or large parts of his work at least, or listening to The Beatles, it’s easy to presume that finely tuned words or close-to-perfect melodies occur, when they do, more or less naturally. Such artists laboured on their art, of course, but their inspiration surely ran far beyond Edison’s fabled one per cent? However, the older I get the clearer the importance of revisiting, remaking and repeating, becomes. To the extent that the secret of producing the best creative work can be reduced, for me, to a simple practice. To improve it, revise it; when you can’t revise it any more, you can’t improve it. Ernest Hemingway at Dorchester Hotel, London, 1944. Note: I like the idea of ‘life hacks’ – pieces of advice, knowledge, insight, admonitions; discrete mind shots that improve life and produce an awareness of living. 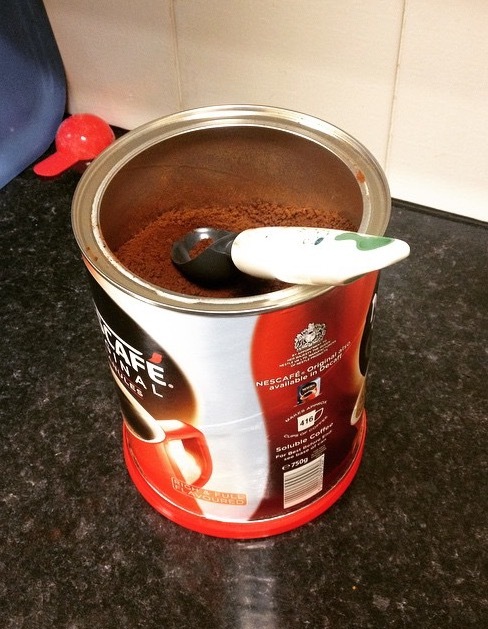 The Lifehacks section of the blog is where I’m collecting and collating them. Over the years I’ve made a few pilgrimages to London. A decade ago I spent a long afternoon chasing the spirit of Bob Dylan and Paul Simon at the famous Troubadour folk club in Earls Court. A couple of years later I visited St Bride’s, the tiny journalists’ church on Fleet Street, where the ghosts of my trade lingered on, both in the pews of the church and in those of the nearby bars. Another trip saw me sample the bitters in Ye Old Cheshire Cheese, following in the gloomy footsteps of Dr Johnson and Arthur Conan Doyle. In the past my visits have been marked by music, history, London ales and, well, more history. While I’ve eaten well in the city at times over the years I’d never, until last weekend, undertaken what I’d regard as a food pilgrimage. And yet that’s what my wife and I found ourselves embarking as we walked through Soho last Saturday evening, to arrive at 21 Warwick Street. This is the location of a restaurant called Nopi. Plenty (sorry) has been written about Yotam Ottolenghi, Nopi’s co-owner, in recent years. A journalist turned pastry chef turned food icon, his London delis have attracted consistently good reviews since the first one opened in Notting Hill more than a decade ago. He didn’t appear on my radar until I came across his 2011 TV series Jerusalem On A Plate and subsequently picked up the accompanying book, as well his earlier volume, Plenty. There it was – the dish I’d craved. After salivating over the books for a while my wife and I road tested some of the dishes, devised by Ottolenghi with his culinary partner Sami Tamimi. Two in particular stood out: their puréed beet root with yoghurt and za’atar, and a mushroom and herb polenta. Both were unlike anything I’d tasted before, in flavour (the za’atar) and texture (the polenta, served with Parmesan). 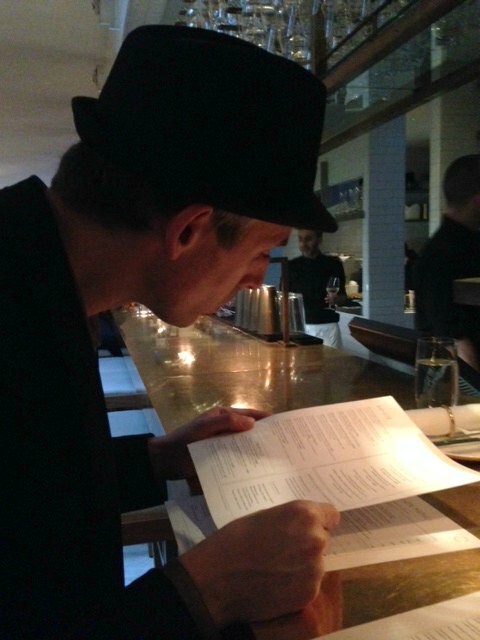 We immediately swore we’d visit one of their London establishments (a pledge I inscribed on our copy of Jerusalem); not least because, in the back of my mind (flipped past in their book or maybe from the series) I’d an image of a polenta chip dish there which looked incredible. But then time passed and Ottolenghi slipped off our radar. We visited LA and Japan and the Ottolenghi’s salads were lost, smothered beneath a smorgasbord of Mexican, Californian and Japanese cuisine. 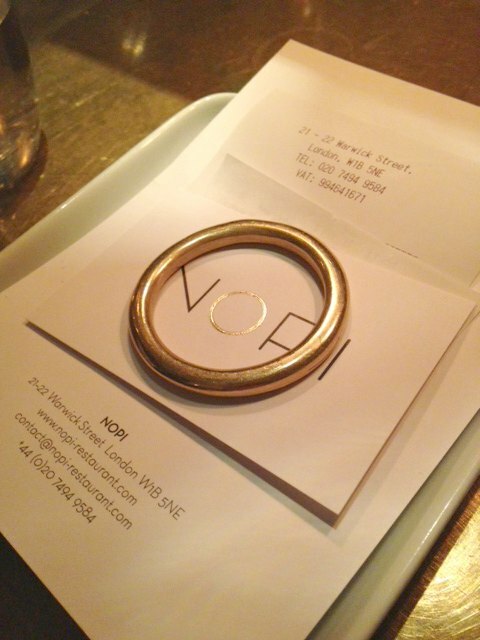 This was until a weekend trip to London came up and, with it, a reservation for dinner at the bar at Nopi. And so we arrived last weekend to dine at the hub of the Ottolenghi phenomenon. We took our seats and picked up the menu. There it was – the dish I’d craved a year ago but hadn’t thought of since. Not just polenta chips but truffled polenta chips, by way of truffled aioli. Cut a size up from the ubiquitous gastropub jenga chips, Nopi’s polenta variety combined a chip lighter than potato with a semolina-like exterior. The truffle sauce was served on the side. It was all the glory of the Piedmont in one mouthful. Or four – as I proceeded to bogart the bowl. The rest of the meal passed flavourfully – as we expected – but nothing hit the heights of the chips. If Nopi was my first London food pilgrimage this was the grail. Get there, and get them. 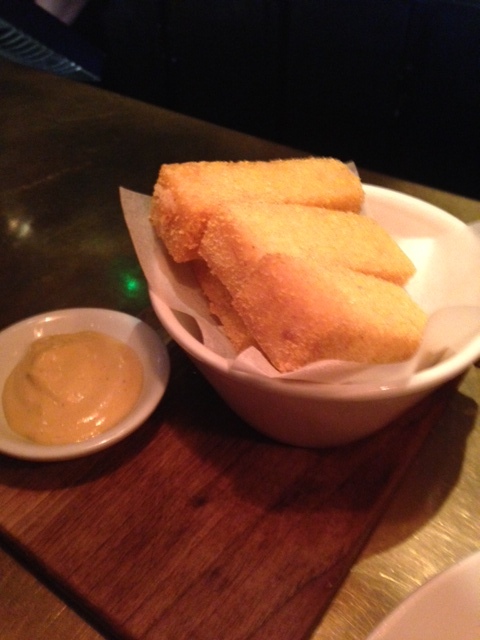 All the glory of the Piedmont – polenta chips with truffle aoili at Nopi. IT is a truth universally acknowledged, that a lingual man in possession of an empty page must be in want of a good opening line. This crossed my mind recently while browsing through some short stories and, more pressingly, when I sat to write this post. As a journalist my default setting is usually to put the most important info in the first line. Writers of fiction, novels or short stories, require a different approach. Some of my favourite fictional first lines are a short, shocking stab. Others are longer, introducing an image or setting a mood. Others yet bear comparison to a short poem. Some are one line, some are more. The best are always singular, the very best perfect. But no good ones are incidental. Analysing what makes a perfect opening line is difficult; the best way to do it is to simply read the best examples, cut loose from their source titles. With this in mind I decided to assemble my top five. Here they are, with a hint to the work in question afterwards. So begins one Welshman’s childhood chronicle. A whale of a time. A nothing that comes back to haunt one big-game hunter – and his wife. The only time anyone does, it turns out. The first of three opening lines, one for each hero. So the story of Mack and the boys, and all humanity, begins. 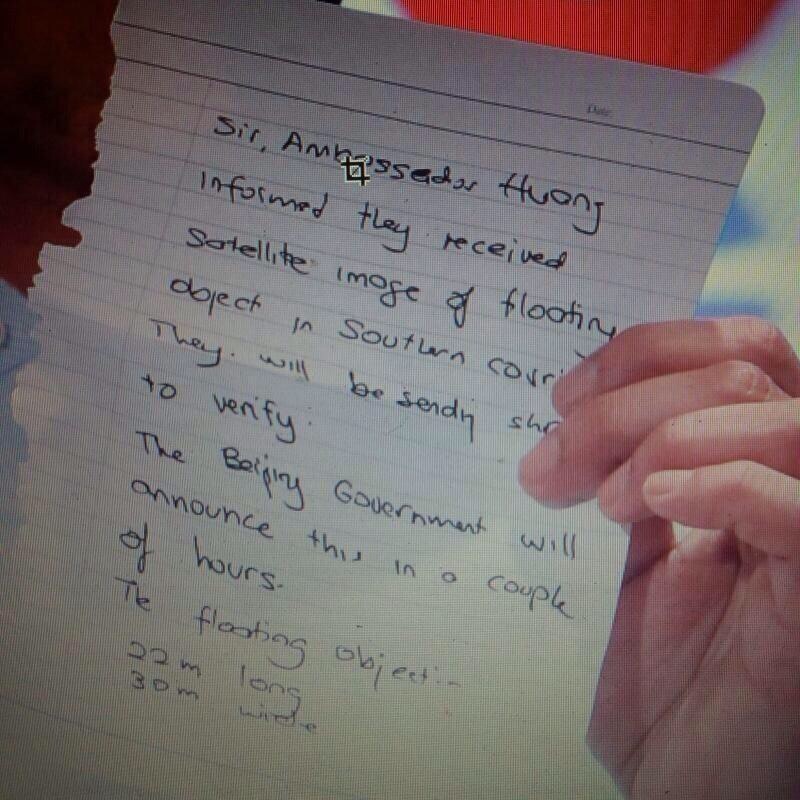 MH370 search note handed to Malaysian transport minister, Mar 22, 2014. SOMETIMES paper is the only way to do it. It was interesting that a possible breakthrough in the search for the Malaysia Airlines jet last week – an operation which has been run with the highest of hi-tech equipment – was communicated in the oldest fashion possible. Hastily scribbled with a biro on a torn scrap of paper and pushed into the recipient’s fist. As communications go it couldn’t get any more lo-tech. It was almost quaint – yet tragic in light of subsequent developments. Who writes anything down any more? Apart from perhaps a quick shopping list, a scrawled signature or a Christmas card? The press conference note put me in mind of some shopping I was undertaking. With a visit to Japan scheduled later this year I’m assembling, with help from my father-in-law, a shortlist of Japanese novels to read. 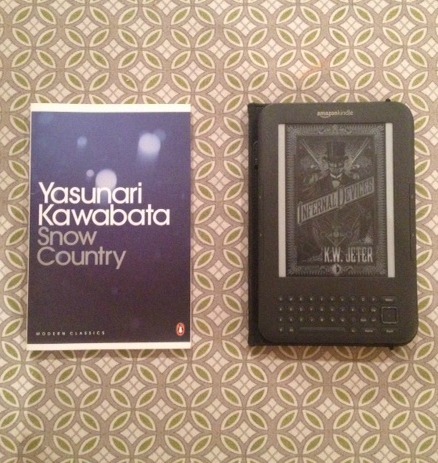 My initial plan, for reasons of space and cost, was to download the e-book versions to my Kindle. But these are works I want to close read and dwell over. And this reading is a tactile, physical experience as much as a mental one. And why would I want to deprive myself of it? Even if it means cramming more books onto the groaning shelves? I’m sure I’m not alone feeling this need to read on paper, despite the onward march of e-books, Kindles, Nooks and more. Surrounded by screens all day, on my desk, across my living room or in my pocket, reading on paper is a non-electronic breather. This attitude may also account for my analogue habit of keeping notebooks, crammed with random shopping lists, ideas, quotes and scribbles. Wasn’t my iPhone supposed to put an end to all this? It hasn’t. And neither has my Kindle, or iPad, or laptop. Paper still has its place and, like the anonymous author of the Malaysia note, there are times when it’s the first thing I reach for.